The 4You Compactum with Changer by Vox can be used for many years after your little one has grown out of nappies. 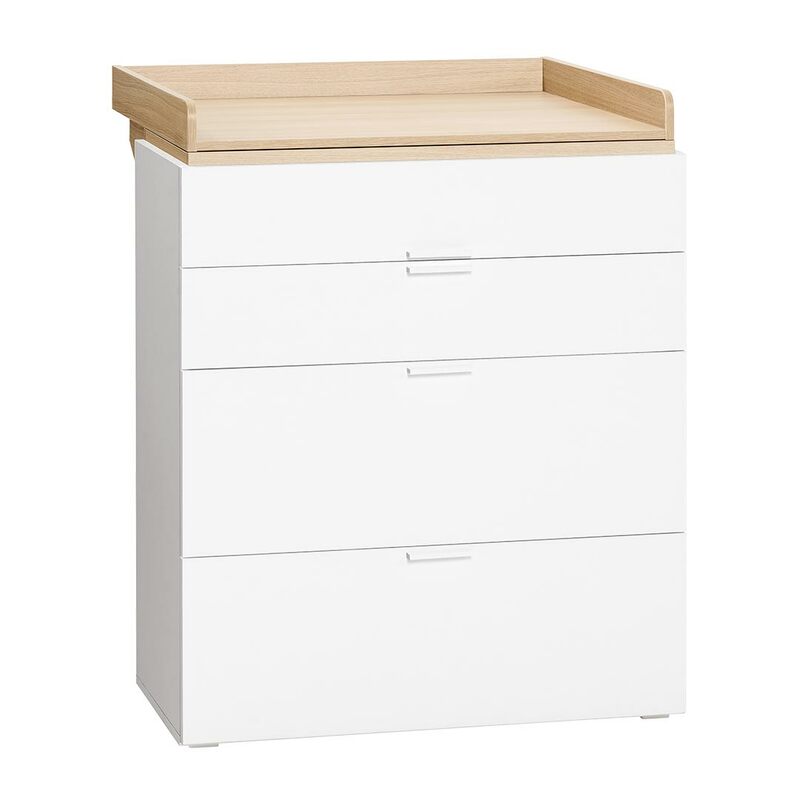 The 4You Compactum with Change - White & Oakr by Vox can be used for many years after your little one has grown out of nappies. The Acacia 4You Changer fits perfectly on the 4You Compactum for convenient nappy-changing. 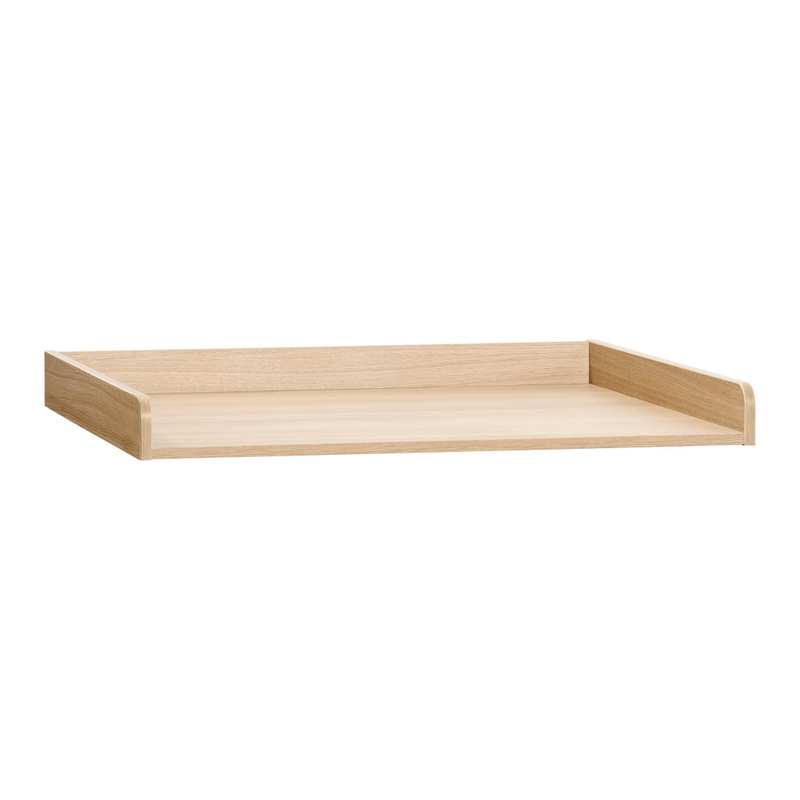 When baby has grown out of diapers the changer can easily be removed to transform the compactum into a dresser. 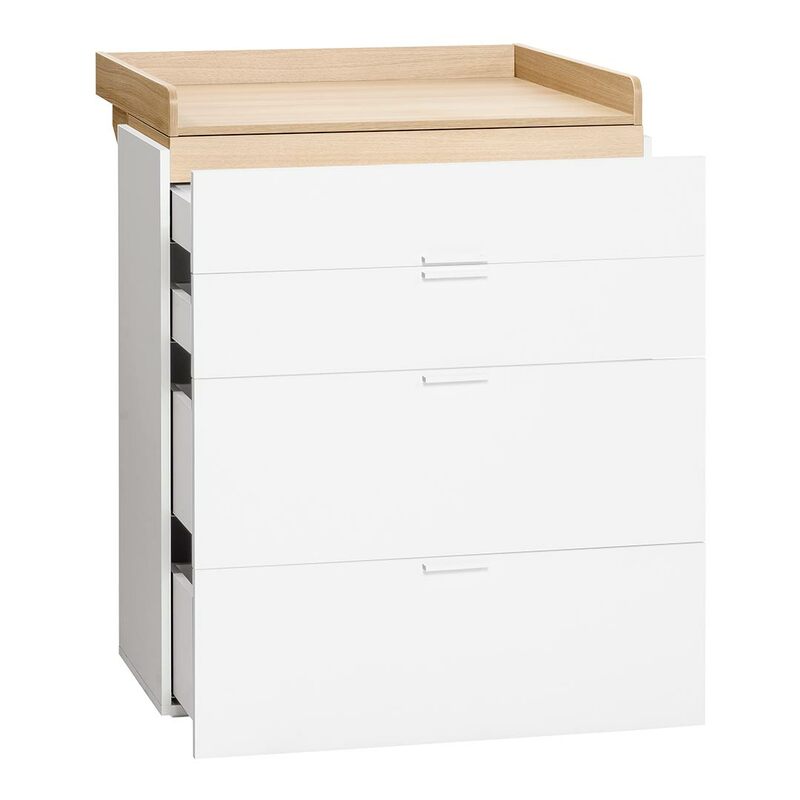 The Compactum with its spacious drawers is the perfect storage unit for clothes and toys. 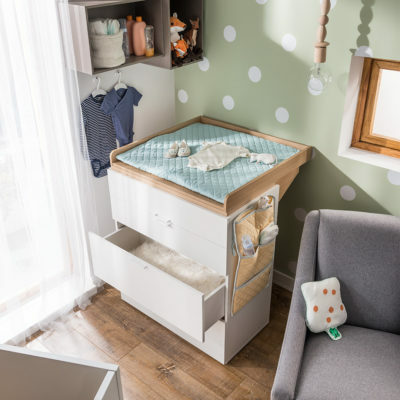 The 4You Compactum compliments the 4You Cot Bed, which is convertible to grow with your baby into toddlerhood.